Please select your desired archive from the table below; for archives older than those listed below please contact the arboretum staff. To receive a copy of The Crosby Arboretum News Journal months before it is posted to the website, please consider becoming a Member! Arboretum Members receive a copy of the News Journal (print or electronically) before copies are posted to the website. Arboretum members can choose to receive their quarterly news journal electronically via email in addition to, or instead of, their paper copy. 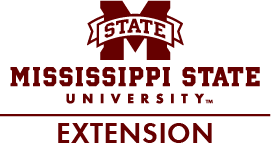 Call us at 601-799-2311 or email kimj@ext.msstate.edu to sign-up.